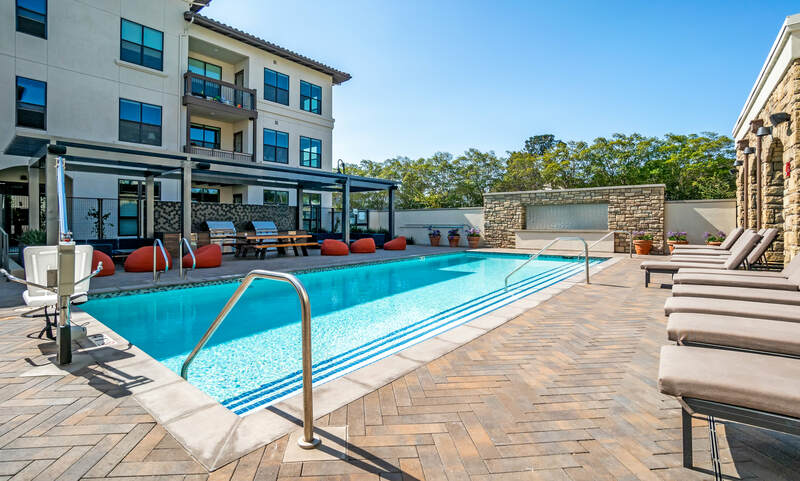 Located between San Mateo and Redwood City, with easy access to highways and Caltrain, Trestle Apartments is just steps away from your next adventure. 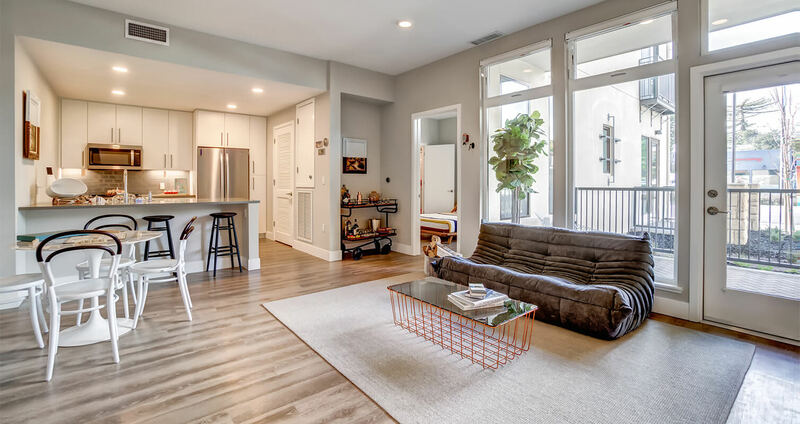 Our Neighborhood’s mission-style architecture and design details, crafted with modern amenities like keyless entry systems and Elfa closets, is built for your relaxation and enjoyment. Spacious windows for an abundance of natural light and scenic indoor-outdoor living spaces grant you a well-deserved retreat. 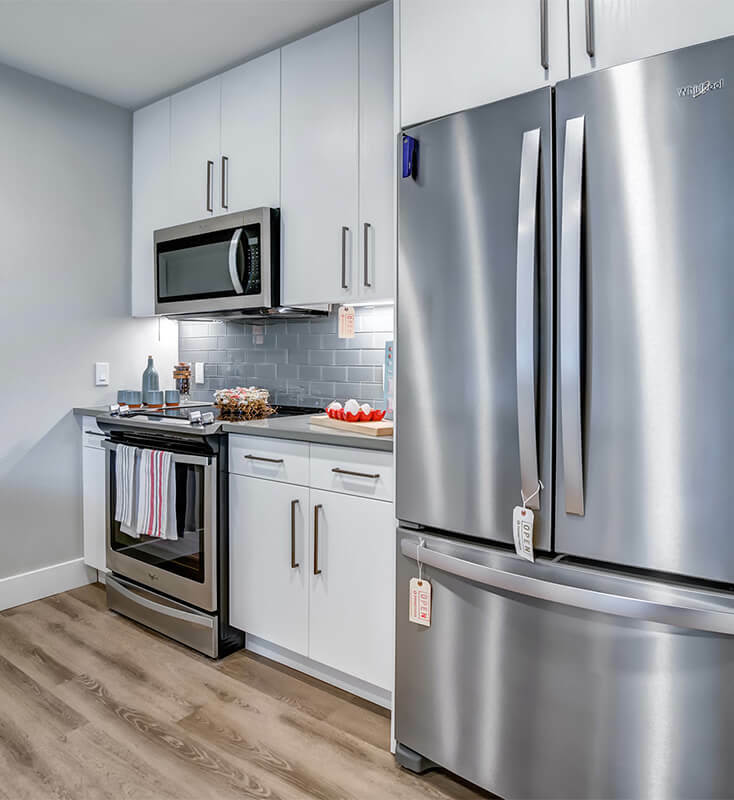 Green elements such as energy efficient LED lighting, NEST thermostats and EV charging stations help reduce your apartment’s energy consumption and enable a more sustainable community. Challenge yourself at the fitness center with tech-forward equipment featuring a Peloton® bike. Or – if you prefer sunshine and cocktails – lay back by the pool. Never worry about parking with your own reserved space, and maintain that online shopping addiction with Hub by Amazon 24/7 Package Pickup ensuring your parcel arrives safe. Try some of the hand-carved pastrami or one of 18 Belgian beers on tap at The Refuge. Peruse the 700 block of Laurel Street for fresh produce, specialty foods, flowers, and more at the San Carlos Farmers Market. Climb the hills in Vista Park for stunning views of downtown San Carlos. Go at night and indulge in some stargazing. Get your head in the clouds while your feet stay firmly planted on the ground at the Hiller Aviation Museum.